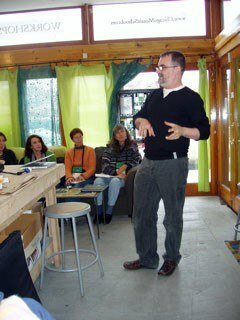 I first went to teach at The Chicago Mosaic School at the beginning of 2006 as part of my workshops offered at the Society of American Mosaic Artists (SAMA) annual conference programme. The school had not been running so long but it already had a fantastic buzz about it. 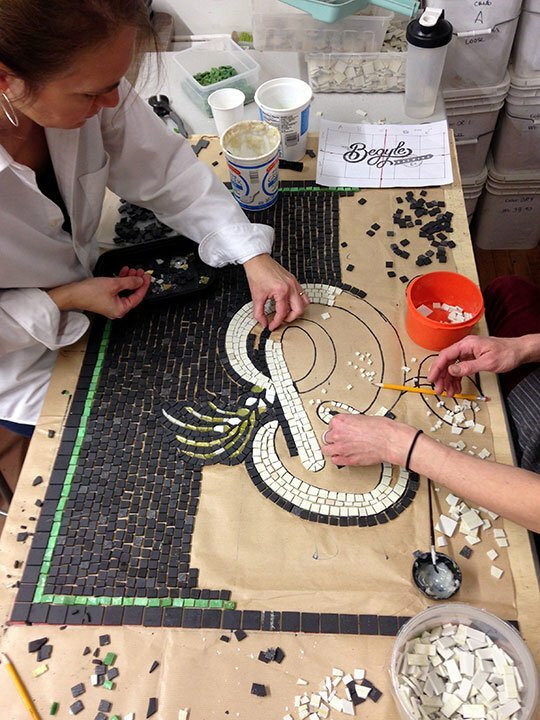 Set up by mosaic artist Karen Ami in 2005, the school has always been dedicated to growing the knowledge and skills of mosaic artists and in particular promoting excellence and appreciation of artistic expression through mosaic. Every time I teach at The Chicago Mosaic School, I think to myself “I must come here more often”. The school has a great reputation internationally thanks in no small part to Karen’s guidance and the dedicated directorship of Matteo Randi. Consequently the school attracts true Mosaic Masters including Verdiano Marzi, Toyoharu Kii and Dugald Macinnes to name a few, and it is always a great inspiration to go there. My latest visit to teach at the school was the first time I have been to Chicago in the winter. Luckily I didn’t have to face the sometimes -10 degrees centigrade and in fact it was rather beautiful to see Chicago in the snow. Since I first taught there the school has moved premises three times as it has grown, each move bringing brighter and more spacious accommodation (which, like all mosaic studios will soon fill). I was at the school to teach an advanced, intensive, week long class in working on larger scale mosaics using the paper face technique, which has become my speciality. 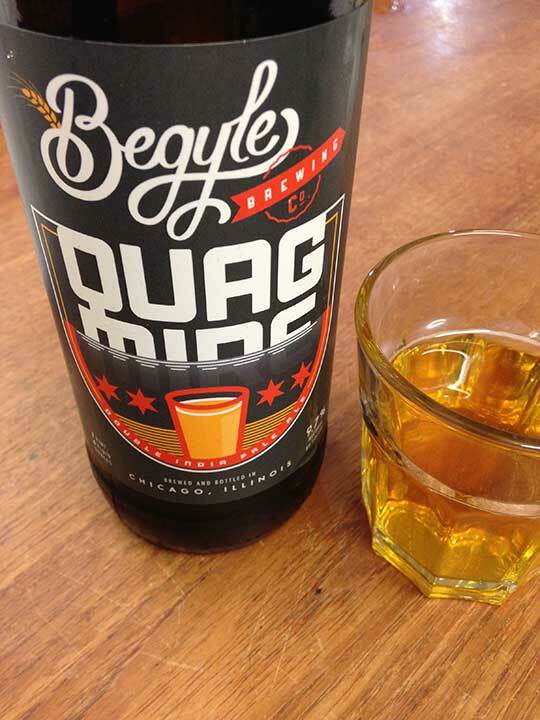 So here I must confess that my previous visits to Chicago have… enhanced, my appreciation of American beer. 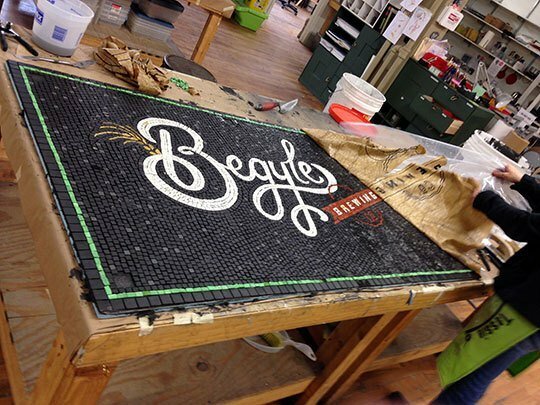 So what a lovely surprise to find that not only is the new school right next to a great little craft brewery, but that my ‘class’ project was to make a mosaic sign for them. 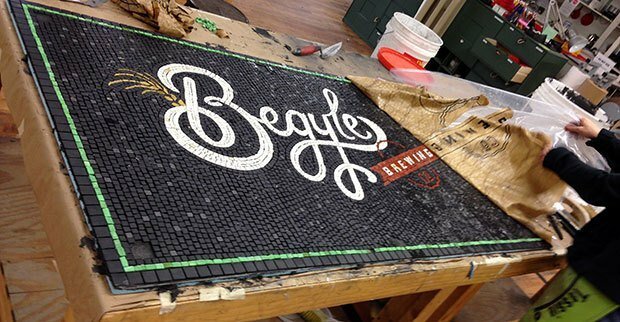 The Begyle Brewing Company where most helpful in providing samples of their crafted beers so that all the students could really appreciate what we were making the sign for.So armed with that essential research we embarked on making a sign that would show equal dedication to our craft.